World of Warcraft has gone through a lot of change in its 12 years of existence, and some people aren’t fans of that evolution. For them, Blizzard’s offerings don’t match up to what they enjoyed about the game in younger days, so they turn to private servers – essentially pirated versions that are run for free by volunteers. Nostalrius is one of the biggest, providing a version of the game that was very close to ‘vanilla’ WoW – difficult to solo, no modern systems, and a level cap of 60. After more than a year online, Blizzard’s legal hammer has come crashing down and the server will discontinue service on April 10. Want that new MMO experience? We’ve got plenty for you to try in our round-up of the best MMOs. They then say that the three servers – Nostalrius PvE, PvP and TBC – will go offline on April 10 at 23:00 server time. They don’t have plans for the future, though do say that they will happily provide everything they used to create Nostalrius so that others can follow if they want to. They’re even going to give out encrypted player data so that characters can be restored on a new server, if the owners so wish. The community, both Nostalrius’ own and the wider WoW folks, are now mid-debate about it. While their existence is a breakage of TOS at best, illegal at worst, private servers have been used by many. Nostalrius was seen as one of the most friendly and fair, not taking donations for benefits or altering the mechanics of vanilla WoW at all. This infographic reveals it was also quite popular, with 130,000 accounts that played regularly, albeit without having to pay the subscription fee or initial cost that comes with WoW normally. Blizzard have said on multiple occasions that not only do they not want to create their own legacy servers, but the demand for them isn’t really there. While some are taking Nostalrius’ popularity as an indication Blizzard have got it wrong, there’s a big difference between Nostalrius’ freely available version of WoW and whatever Blizzard would provide. They also, as you can imagine, would rather look at the present and improve the future than provide a version of their game they left behind 10 years back. It’s also a problem of choices – what patch should Blizzard run a legacy server on? Should they have it progress through patches as the original did? Would people like servers based off The Burning Crusade and Wrath of the Lich King too? Are any of these cost-efficient to run? Will they be confusing for new players coming into the game? It’s a billion new problems for one of the busiest teams in games to try to deal with. What is interesting, and perhaps a ray of hope for fans of vanilla WoW, is why now? 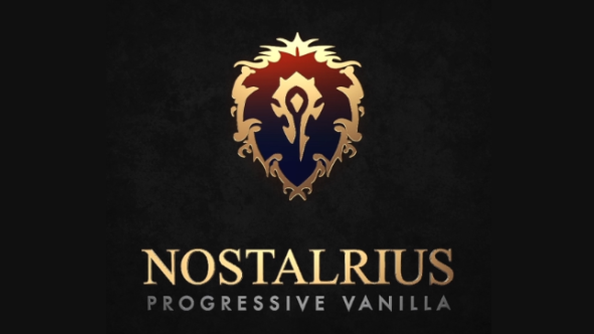 Nostalrius had been around for a year, and other vanilla private servers have been in development or playable for ages. Make no mistake; Blizzard could have shut this down with legal muscle whenever they wanted – it’s their IP, it’s their game and even if they don’t sell this version of it any more, they still 100% own it. There’s two possibilities: either Nostalrius’ popularity and renown finally got to the point where Blizzard thought it was damaging their brand, or they’re planning their own version. That’s what these players are hoping for. The Nostalrius team has set up an open letter to Mike Morhaime, Blizzard’s CEO, on change.org, allowing it to be signed as a petition by those that agree. It asks that Blizzard rethink their legacy server policy. There’s also an AMA with the Nostalrius team scheduled to take place on the official WoW subreddit today, where the general discussion thread has reached 3533 upvotes and 4701 comments at time of writing.